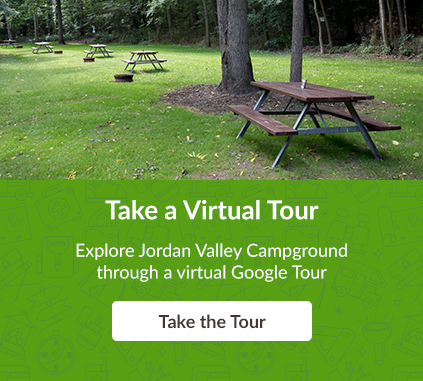 Please use one of the methods below to contact us at Jordan Valley Campground. We look forward to having you stay with us at Niagara’s best kept secret. QEW exit 57 at Vineland. Travel 2.4 km East on Marina Boulevard. This becomes 21st St: travel 5 km South and enter the campground to the Right before the bridge. QEW sortie 57 à Vineland. Roulez 2,4 km vers l’est sur la Marina Blvd. Celle-ci devient la 21st St: 5km vers le sud et tournez à droite avant le pont pour accéder au terrain de camping. "My husband and I stayed in a tent for 5 days here June 2010. This was a wonderful,clean campground. Our site was very large. The bathrooms were very very clean. The pool was wonderful after a long day of site seeing. Perfect place in between Niagara Falls and Toronto. Lots of winery's & orchards around this must stay campground. If only all our campsite were this nice = ). Thank you Dressels'"
"My boyfriend and I had our first camping trip together at Dressel's. We are local from St. Catharines but Dressel's was the best choice. We loved everything about this place! Cleanest campground EVER! Spotless. The staff was amazing and so friendly! They were helpful and humble. We will definitely be going back and cannot wait! Plus you can feed peanuts..."